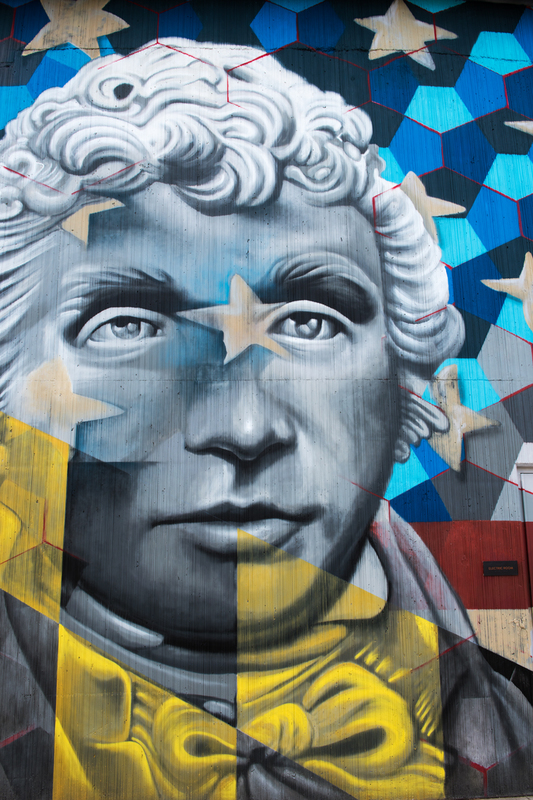 Well-known artist Jeff Huntington returned to Baltimore this month to create a dramatic large-scale mural on the Key Highway side of Anthem House. 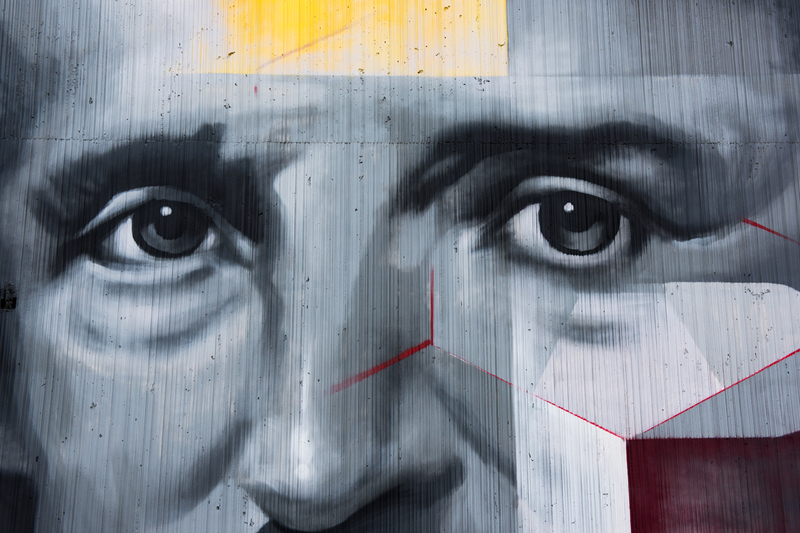 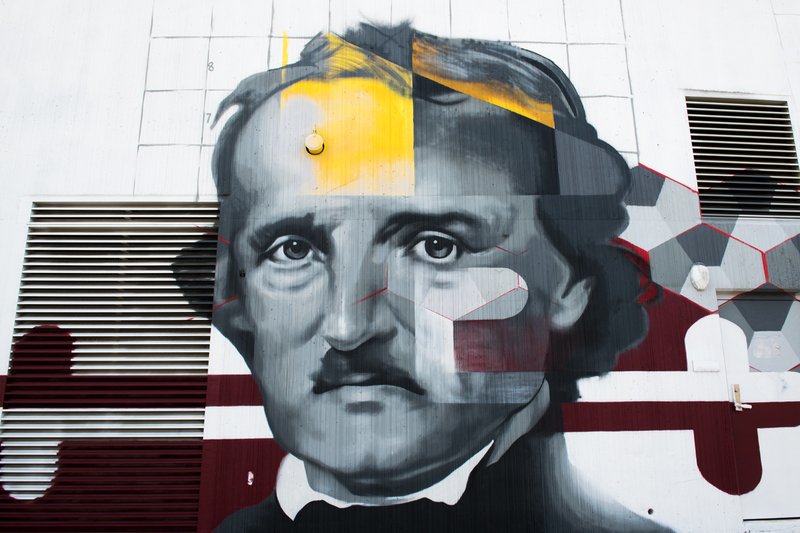 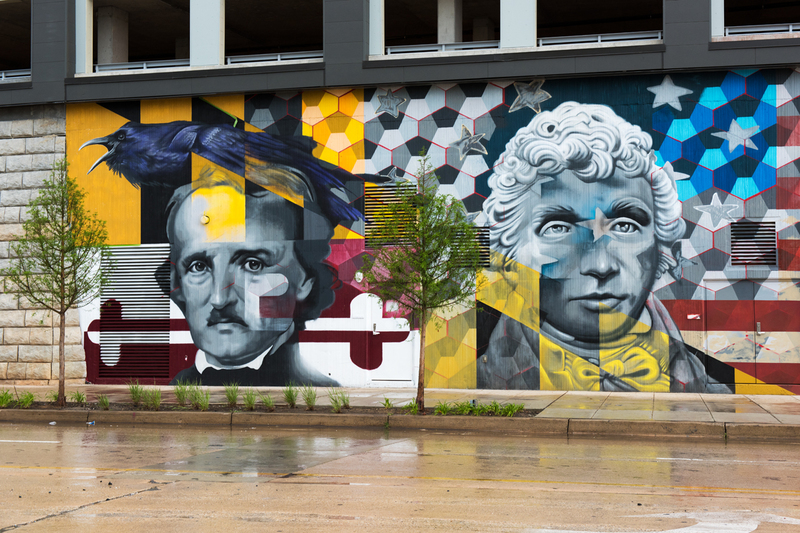 The mural features three prominent figures in Baltimore’s history: Edgar Allan Poe, Francis Scott Key, and Billie Holiday. 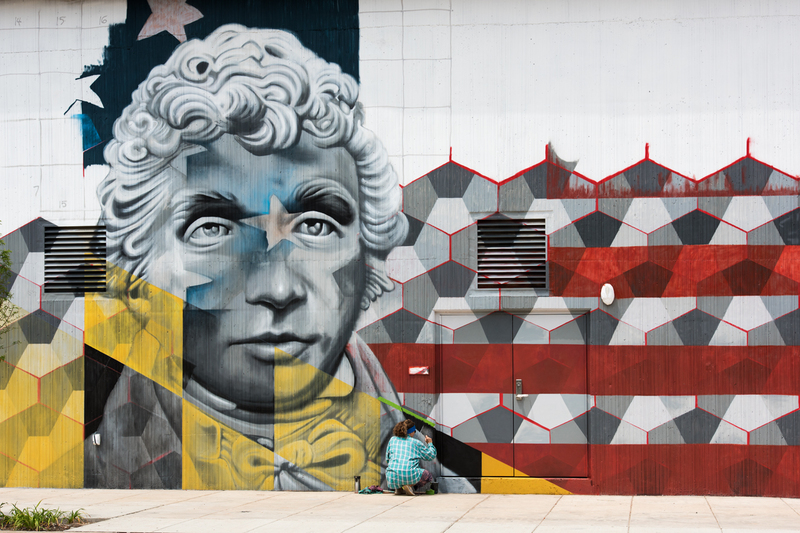 Jeff hails from Annapolis, and the Anthem House artwork is the second mural Jeff has painted in Baltimore in as many months. 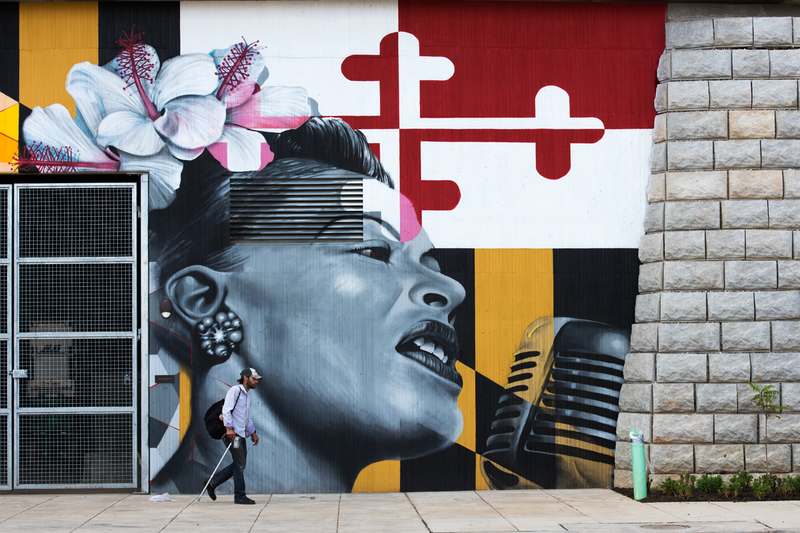 Charm City Streets reported on the Chinese dragon/Lion of Judah mural he painted in the Bromo Arts and Entertainment District last month. 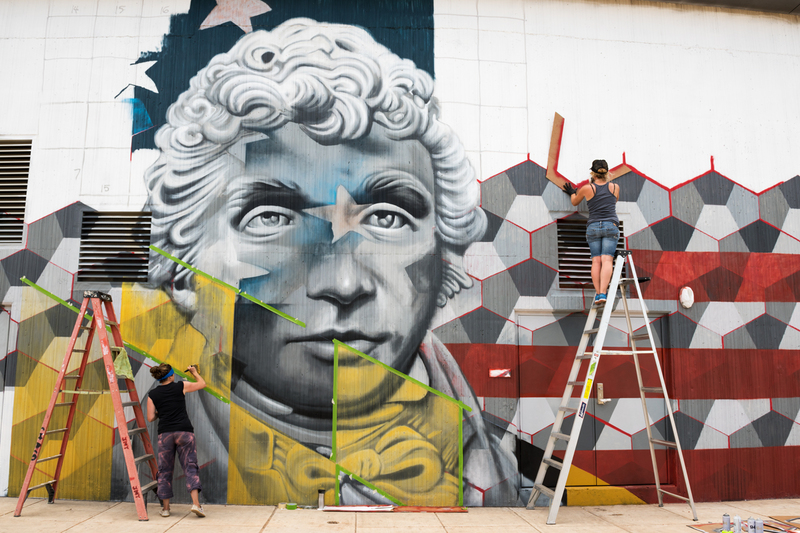 At the Anthem House Jeff’s wife Julia Gibb and colleague Stephanie Baker provided significant help preparing the wall, mapping out the grid scale, and painting the checkered background. 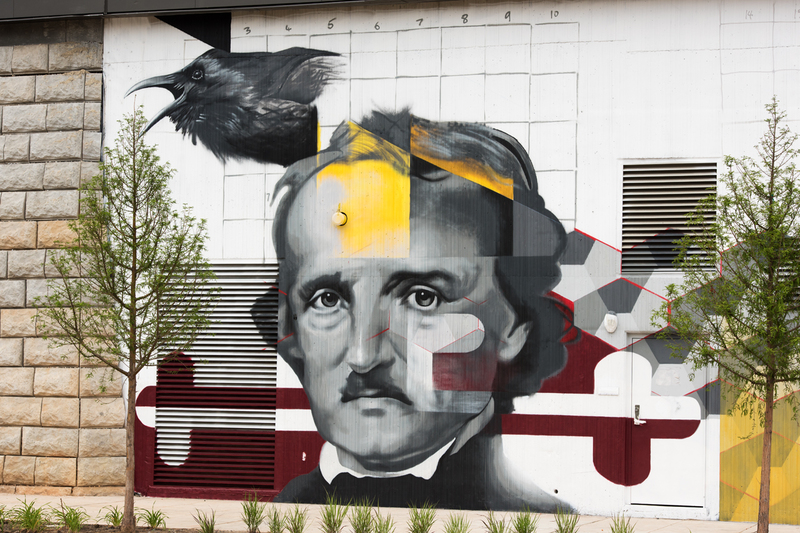 Can you hear a tapping or a gentle rapping as Poe’s raven takes shape? 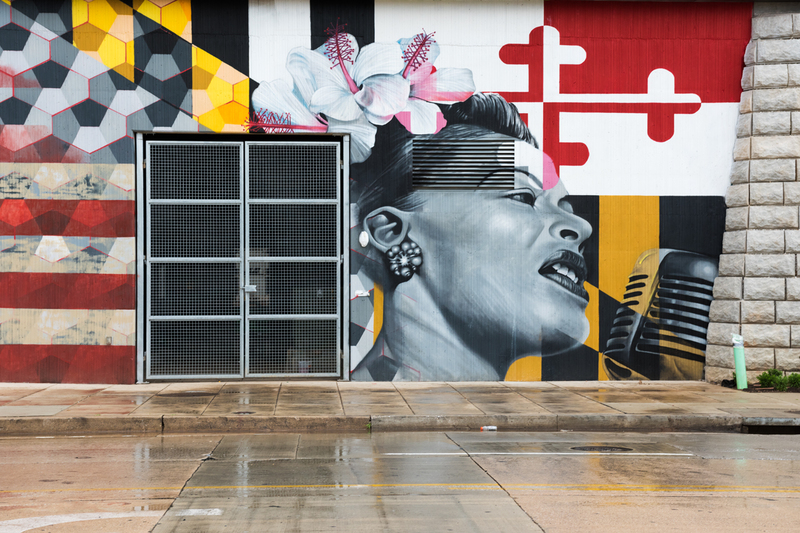 The Bozzuto Group which developed Anthem House (the new high-rise complex features luxury apartments plus restaurants and retail stores) commissioned Jeff to create the mural along Key Highway as well as a score of interior murals. 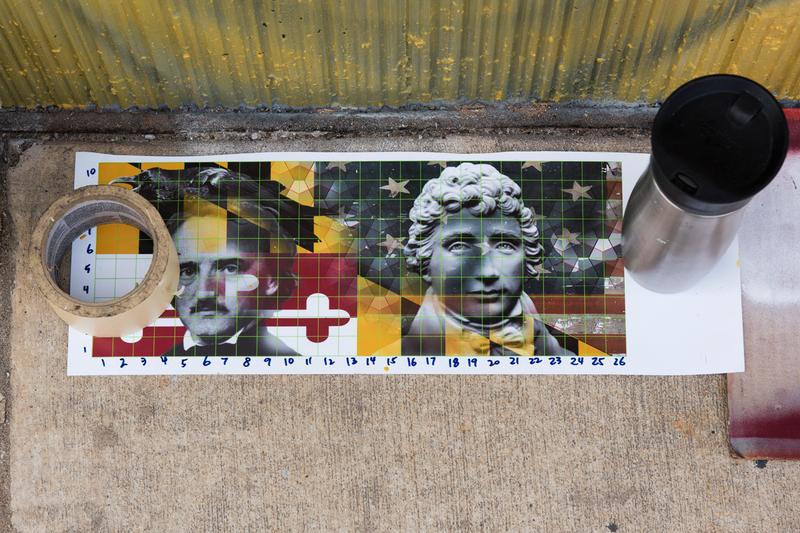 Throughout the Baltimore/Washington Metropolitan Area you can see more of Jeff’s incredible street art. 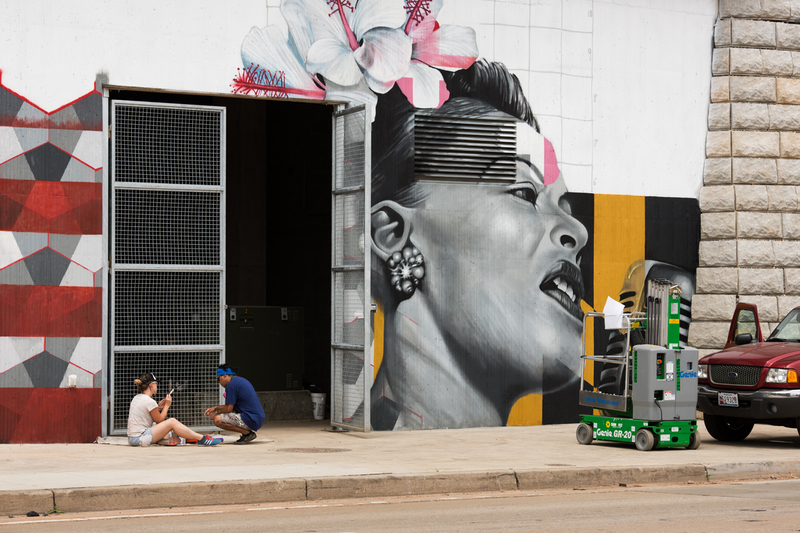 Visit his website for full information about his studio work and gallery representation.